We get asked about our technology often, but not on our business as much. So it was with some surprise that our co-founder, Kelley Picasso, was asked to give an interview for Crain’s Seattle on, of all things, a mistake. 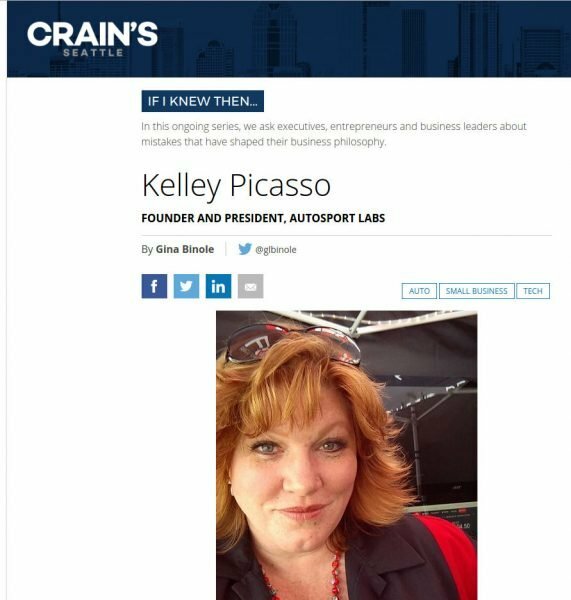 In this “If I knew then…” article Kelley shares the mistake that made a profound difference for her, and then for all of Autosport Labs. Special props to our entire team for being committed to excellence and especially to teammate Ryan Doherty, for calling Kelley out.